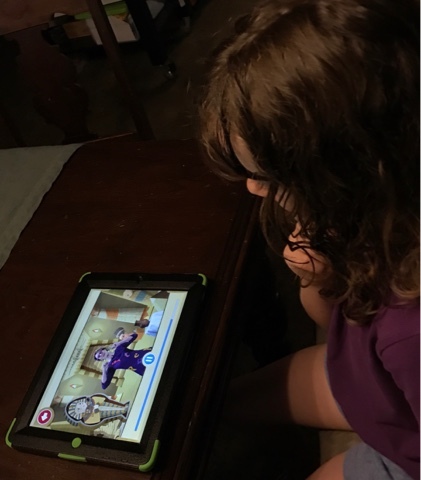 The following is a review of the Phonics Museum App from Veritas Press with the TOS Homeschool Review Crew. 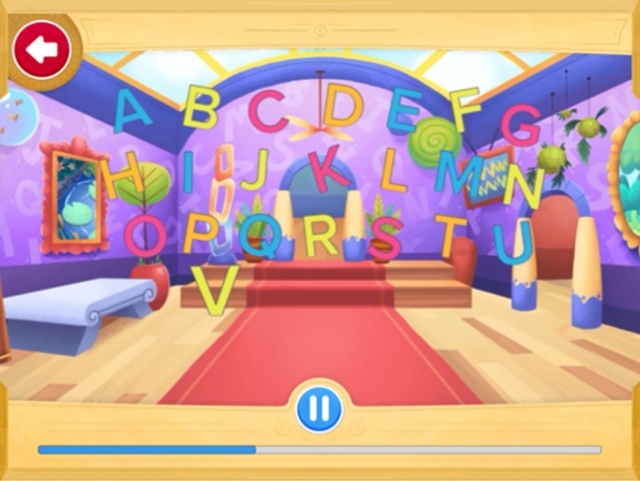 We received an annual subscription to the Phonics Museum app which is available on iTunes to try out for this review. 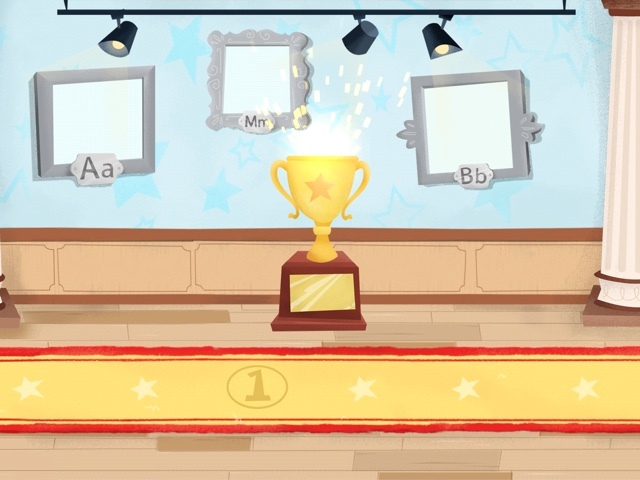 The program incorporates games, songs, books, writing, and more all inside the virtual Phonics Museum. You can try out samples by clicking the website link above. Their target audience is any parent that wants their child to learn to read and love the process. 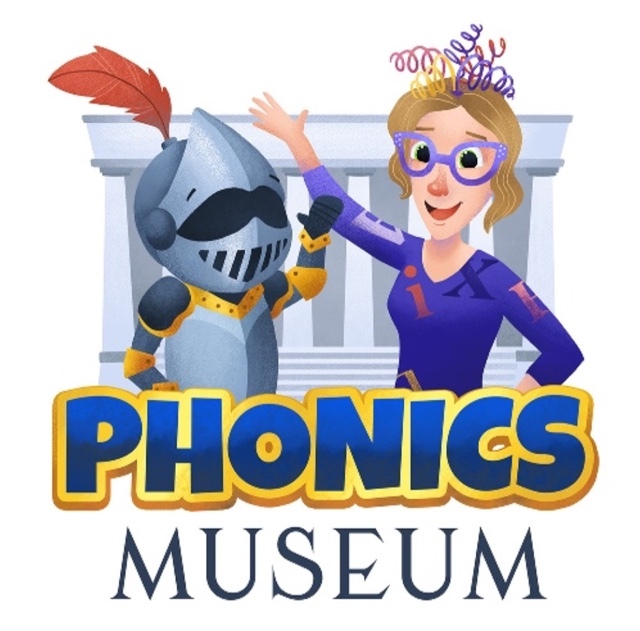 Memberships to the Phonics Museum app are currently $9.99 per month or $99 annually, and each account can have up to three children. My children are all older, but as an OT I always love evaluating new tools that have fine motor and handwriting components. My daughters babysit younger girls, and our young friends eagerly tried out Phonics Museum. That deep concentration paid off, and she earned a trophy. She shared her opinion with me: "I like it and I think it's silly." She said she laughed at Miss Biddle and liked her. "When she swung her hand back and hit the pot..." Giggles erupted and then she smiled up at me. "The games!" Her final conclusion: "I like all of it!" I like her enthusiasm. She traced as prompted, using her pointer finger on the screen, and she independently followed the on screen instructions as she progressed. Her mom actually sat by us as she worked through the levels. She smiled as her daughter enjoyed the app. They are a homeschooling family, too. The program is easy to use. I downloaded it from the iTunes Store and entered the password that was emailed to me. Once logged in, the program remembered my log in details so that I didn't have to do that every time. I entered a few details that helped determine which avatar to use. I was happy to notice that it worked even without an internet connection for future logins. The characters are cute. My favorite is the artistic alligator, but I see how Miss Biddle engages children, too. Activities are accessed by tapping on the artwork of fruit paintings. The character sort of jumps into the picture and then easels display the different levels offered. Until completing the prior one, later easels are locked. Ten levels are in each picture. The program is designed as multi-sensory. You get a glimpse of the visual features in these pictures. It it colorful and fun. Auditory input includes catchy music as well as Miss Biddle talking. Then the tracing and screen activities also provide some tactile input and require eye-hand coordination. Technology makes learning so much different than my girls were first learning phonics. I would have loved using this program with them and recommend it now to homeschool moms with children learning how to read. Find them on Facebook, Twitter, Pinterest, and Instagram, and be sure to tell them hi from Jennifer at A Glimpse of Our Life. Click the banner below to read more reviews from others on the TOS Homeschool Review Crew.